I'm excited to tell you that I have a big update to my Etsy shop! 10, that's right, 10 new sets of flair, as well as several other items that need to go to good homes where they can reach their full crafty potential. :) But wait, there's more! With Valentine's Day right around the corner, it's a great reason to spread some love. Just leave me a comment about whether you're yay or nay about Valentine's Day and you'll be entered to win 5 sets of flair, your choice. If you're not feeling lucky or just want to start shopping now, I have an extra treat for you. Use the coupon code, LOVE2015 to take 25% off of your merchandise total. Both giveaway and sale will be going on until Sunday, February 15th and then one random winner will be selected and announced Monday morning. Yay Valenties day! This year I'm giving my co-workers "Gal"entines gifts as well as making my hubby a mini book and making a card for my Mom. What's not to love about love?! Thanks for the chance! Yah for any holiday which theme colour is pink and yeah for holidays where everything is pretty! Yay for Valentine's! Chocolate, baking, little gifts for the kids. Yes, please! And I love your flair. Headed to your shop now to check it out. I'm more Nay for Valentines day, although if I weren't forever!single I might change my mind. In general I love all the lovey dovey hears and pinks and girlie decorations and things I could be doing ... LOL. We usually stay in order some nice food and watch a romantic movie. This year the snow is insane so we won't be going anywhere. Congrats on the new flair. They look awesome. Thanks so much for the chance to win! I think Valentines Day is so very sweet! But, I am all for making someone feel special everyday! I love these so much! im gonna place a order also! thanks for the chance! Oh yay! I'm so excited to go check out your new sets, Elise. You know I'm a fan. :) We don't do anything major for Valentine's Day. I'm thinking of getting my hubby and Alexa each a chocolate/candy-covered apple from a local chocolate shop. Love these! I need to go visit the shop now. Thanks for the chance! We are definitely yay in our household! My youngest child is 24, but they still get valentines from mom, while my husband and I also exchange tokens. Thank you for spreading the love. 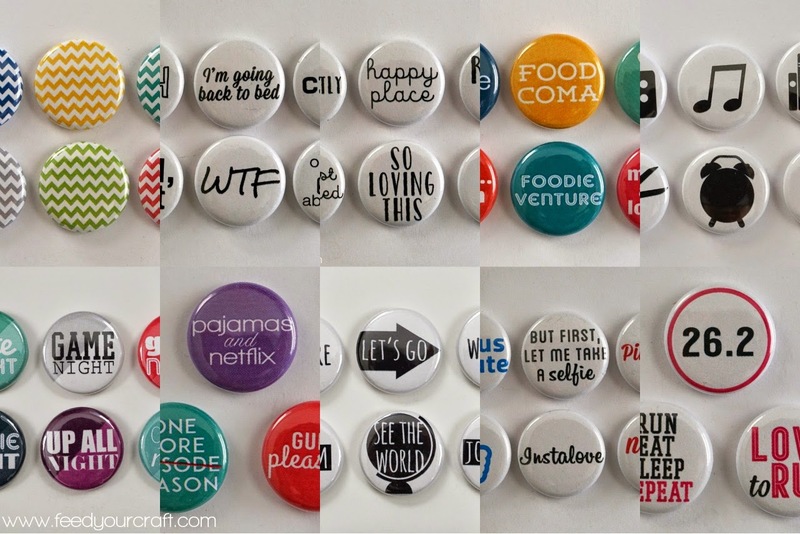 Love your flair - so FUN! We "celebrate" Valentine's Day but very low key. Just an acknowledgement of caring like simple flowers/plant, special meal at home and the such. We too try to let everyone know everyday they are loved. We don't celebrate Valentines Day like normal folks, we don't care for crowds, so we stay at home and watch some zombie movies, lol. We do give each other and our daughters a little gift, like chocolates or something small. We do celebrate but more as a family than couple since our children were born. Our wedding anniversary is the more romantic celebration I think.